The “W” unit is designed so that one or more sides will have a minimum amount of frame structure to interfere with its installation against a wall. 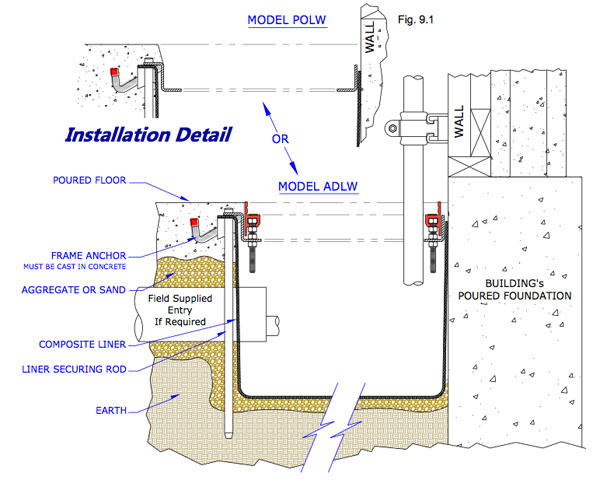 The prime location for its use is along an exterior foundation wall or a partition wall. This allows for vertical entrances into the pit to stay tight against the wall. 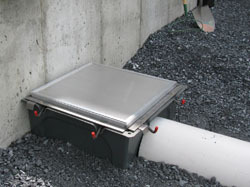 The “W” unit is available in both MODELS ADL and POL in any of our manufactured sizes.